Waylon talks with yogi Danielle Radulski about narcissism, teaching, and using social media to build your career. Talking with Danielle feels like talking to an old friend—one that’s particularly good at balance (in every sense of the word). She’s built herself up in the yoga community using social media to grow her base of followers. She has her “side hustle” outside of yoga that helps her maintain balance (and pay the bills). While there are hundreds of Insta-famous yogis out there, there’s something different about this one. 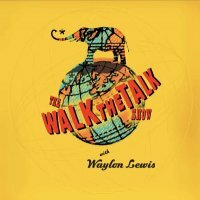 Watch her conversation with Waylon above—you’ll see what I mean (and learn about using social media as a mindful career tool, too). How to deal with Narcissists—from a Buddhist Point of View. Social Media is Evil—use it for Good. Why we need to stop criticizing #Yoga.